Having a hard time finding the perfect gift? Well you are in luck - check out our suggestions for that special someone in your life. Figures of Rituals has a nice range and a little something for everyone; from someone who is just getting started, to the experienced magician. From ritual bundles that we can customize to pocket crystals - there is a lot to choose from! Click here for individual listings! But if you are still struggling to find the right gift - maybe a Witch Club Subscription is the answer - click here for more info. Know a gem-hound? 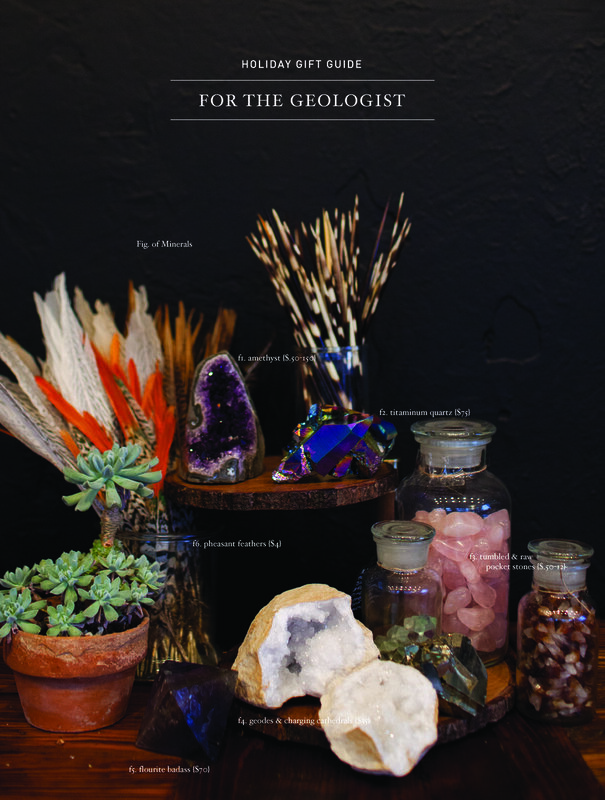 We have so many varieties of crystals, fossils, minerals, and geodes. I am really in love with our quartz geodes which are $35 for two halves and our pocket crystals. What better way to show you care by giving a hand selected group of crystals in a little velvet bag. Click here for listings!